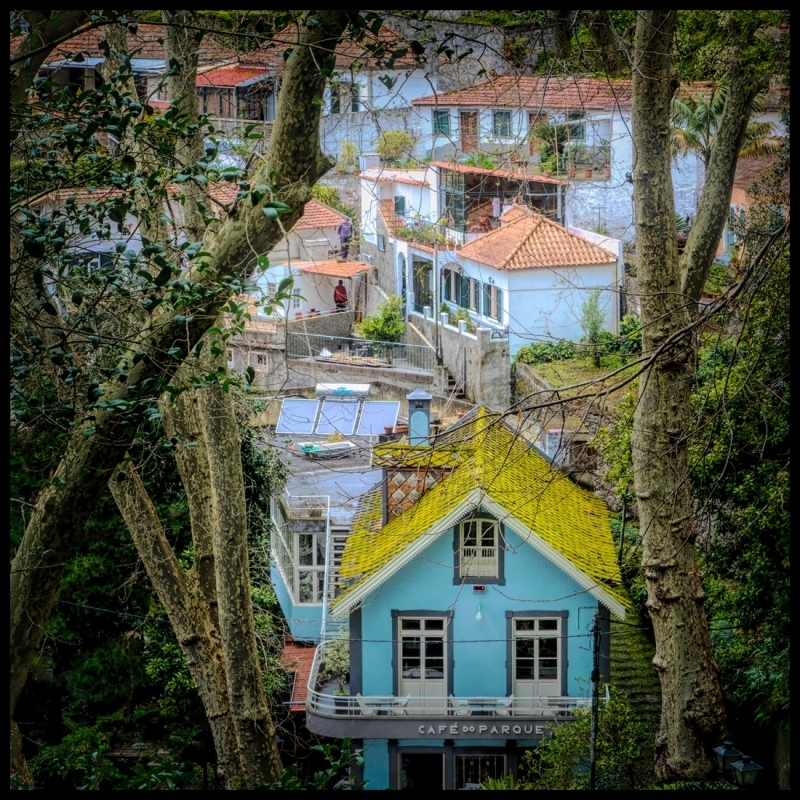 A cafe and a group of properties in the village of Monte high above Funchal, Madeira. It's quite a touristy place, but a lovely spot to wander with a camera. And the bus ride to Monte is an absolute hoot - steep hills, hairpin bends, narrow roads and grumpy drivers. All for €1 each way! Nice capture of the style of the place Korky. I like Madeira a lot but the effect of the weather on the airport puts us off a bit. The first time we landed there the pilot warned us that he was going to have to reverse thrust before touch down and so is was going to be a bit bumpy (understatement). The second time we were delayed leaving by 36 hrs, a whole day of which was spent sitting on the floor of the airport. Even so, the delay wasn't as bad for us as it was for the poor souls who were due to arrive that day. They had to overfly and go down to the Canaries. Finding overnight accommodation down there at a busy time of year must have been a problem. At least we had their rooms for the night. I've heard a few horror stories regarding the Madeiran weather - the worst that happened to us was to be kept circling for 40 minutes until mist cleared enough to land. I'm not exactly a fearless flyer, so happy not to experience the reverse thrust! I had a similar experience John ....really scary stuff innit ? We started going there in the 80's when it wasn't as developed as it is now. Alas work had pretty much put paid to photography during that period but memory tells me it was more interesting.